Grilling steak is one of the most popular methods for several cuts. But, it’s no secret that grilling times for steak can vary greatly, depending on the cut of steak, its thickness, and how done you like it. There’s no clear-cut answer for how long to grill a steak, but our guide will cover some of the most popular cuts so that you can get a better idea of how to grill them to perfection. One thing that most steaks have in common is that they need a bit of preparation before you get started. Your grill will, too, to ensure that it’s at the proper temperature and ready to cook up the perfect steak. First, make sure your steak cuts are at room temperature before you place them on the grill. Doing so will help you get a more even cook so that the inside can cook to your preferred doneness without charring the outside. Then, get your grill oiled and fired up! Make sure your grates are greased so your steaks can turn easily without getting stuck. Turn the grill on high heat and allow it to warm up before adding your steaks to give it the incredible sear you’re after. So, how long do you cook steak on the grill? That answer largely depends on the thickness of the meat you’re cooking. 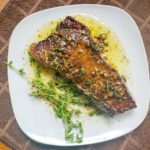 You can cook thin or thick cuts on the grill just fine, but you’ll definitely want to alter your times to cook your desired cuts to the right doneness, which, again, is a matter of preference. One good tip to keep in mind is to use a meat thermometer for thick cuts of and a timer for thin ones. A steak that’s ¾ of an inch thick or less may be difficult to get an accurate temperature reading from, so a timer can help. But, a meat thermometer can give you a more precise idea of the doneness of your steak to make sure it’s right. For a medium-rare doneness, you typically will need to grill your steak between 4 to 6 minutes on each side, depending on thickness. For medium cooks, shoot for closer to 5 to 8 minutes on each side. 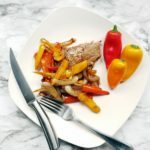 It’s always best, though, to start with the lower grilling steak time and check with your finger to see if it might need a bit more time, instead of allowing it to cook for a couple of extra minutes. You can always cook it a bit longer, if needed, but you can’t get back tenderness you lose from overcooking. When you touch the center of your steaks, a medium rare cook will spring back slightly, yet still feel squishy. A medium cook will be more springy than squishy. If all else fails, you can always cut a small slit in the center of your steak to check its color, but this should only be used as a last resort. Ribeyes are usually between 1 ¼ and 1 ½-inch thick, so they’ll typically need more time on the grill than a New York Strip, for example. Ribeyes should be cooked to 120 degrees for medium-rare doneness, which typically takes about five minutes on each side. For medium doneness, cook to 135 degrees for about ten minutes on each side. Sirloin steaks are similar in thickness to a ribeye, but some may be a bit thinner, around 1 inch. A 1 inch sirloin generally take about 4-5 minutes on each side for medium rare doneness, or 5-6 minutes for a medium doneness. Filet mignon is one of the thickest cuts of steak you can have, usually ranging from two to three inches thick. For a medium rare cook, you should plan on a grill time between 5-6 minutes on each side. A medium cooked filet mignon will likely take closer to 6-8 minutes on each side. Once you have a good sear over high heat, you can move your steaks to a lower heat to make sure they don’t dry out quickly. To do this, sear both sides over high heat for a couple of minutes on each side, and then move to low heat. Only flip your steaks once the full time for one side has been reached. Flipping too often on the grill can ruin the cooking process and dry out your steaks faster. Also, always allow your steaks to rest. You should plan to rest your steak for 5 to 10 minutes to allow the juices to move back through the meat for ultimate flavor and tenderness. 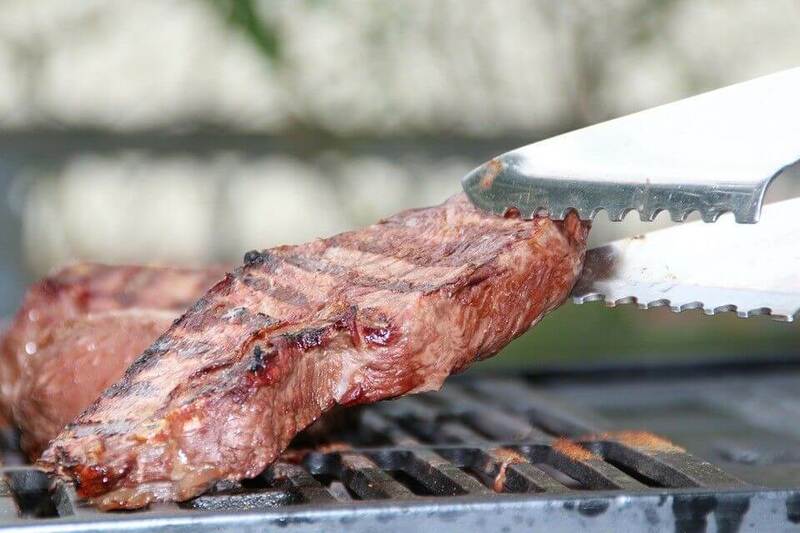 If you do use a meat thermometer to better gauge your time for steaks on the grill, make sure you remove your steaks when its internal temperature reaches about five degrees below your desired temperature, since it will continue to cook a bit after you remove it from the grill. If you want your steak to be medium rare at 125 degrees, then remove it when it hits about 120 degrees. Hopefully this guide helps you learn how to cook a medium steak or medium rare steak on the grill! As with any other cooking method, cooking steak on the grill takes some practice to perfect. But, once you get the hang of checking the temperature and understanding how each level of doneness feels with your finger, you’ll become a pro at finding the right grilling time for steaks. You can always check out Steak University for other helpful grilling tips and recipes to create your perfect steaks.